REMEMBER! I always suggest doing a sample on YOUR concrete floor. 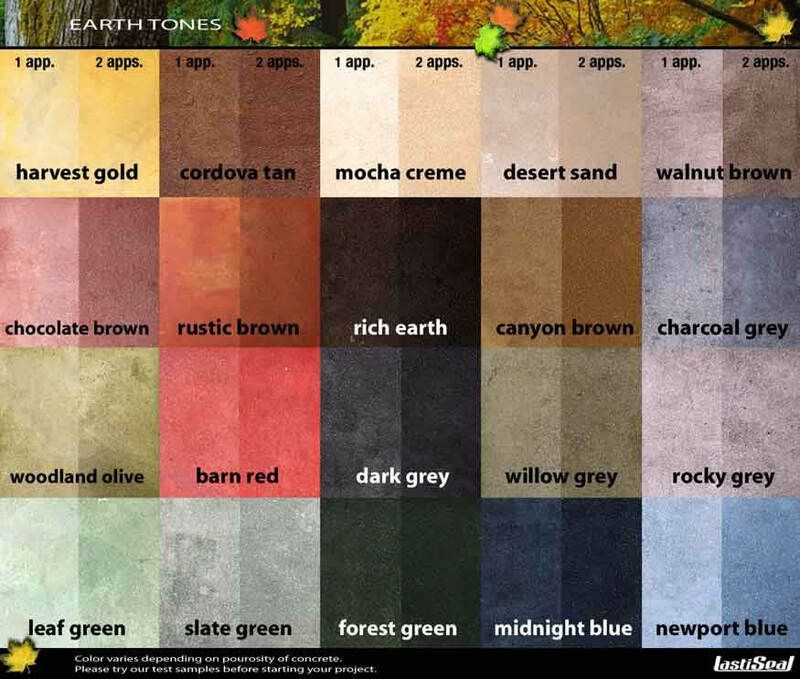 The colors below are not an exact match to what the color on your concrete floor will look like. I can get samples of the colors for a small fee and come to your home to do a color sample on your floor in a closet or under the cabinets. 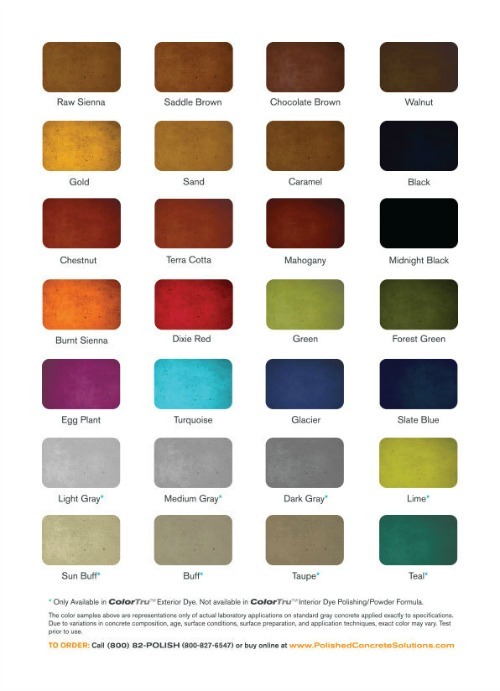 This will give you a better idea of what the color will look like on your concrete floor. The concrete stain pictured below is called ColorTru. It works really well for staining interior and exterior concrete floors. We also use Elite Crete's concrete floor stain. 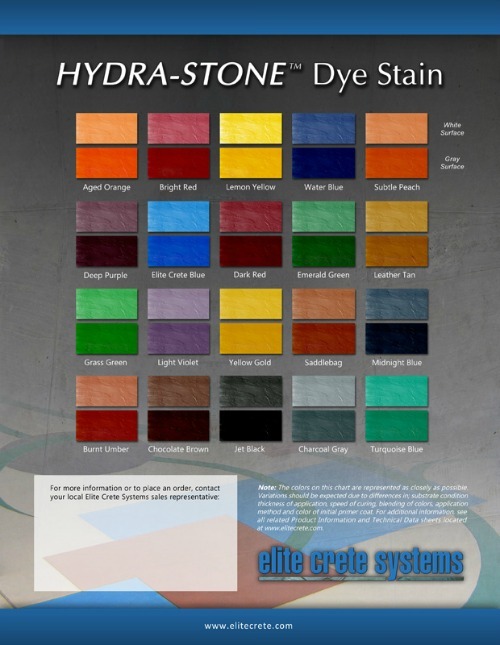 Their hydra-stone dye stain works great for staining concrete, it deeply penetrates the concrete leaving rich, vibrant , colors behind. The TOP colors pictured below are showing what the stain looks like if we apply it to a white base (like an overlay) and the bottom colors are more for a traditional concrete floor. 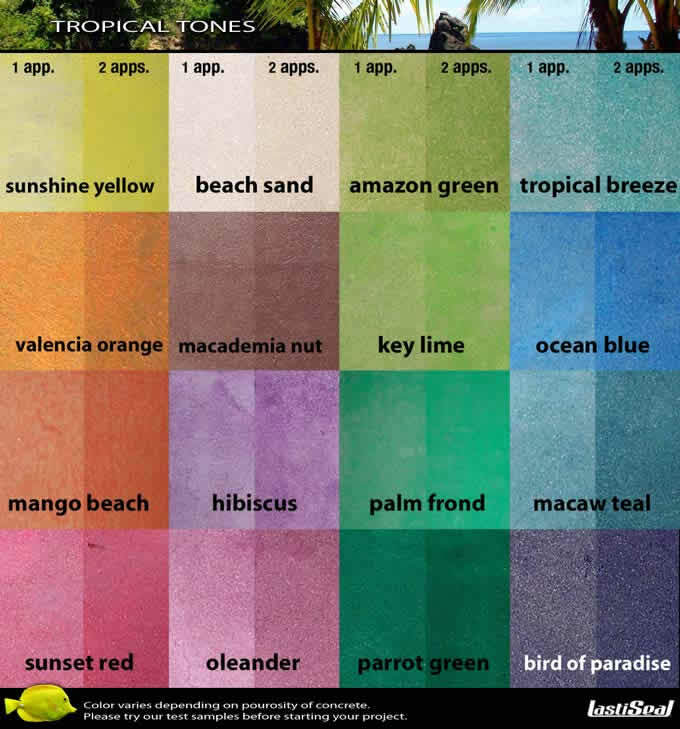 The concrete stain pictured below is better for exterior applications like pool decks, patios, walkways and driveways. As you can see, staining concrete floors in Maine can create some beautiful floors. The mottled and translucent effect concrete stain has when it penetrates the concrete and dries is unique to each concrete floor. We are trained, Maine concrete staining contractor for all these products. If you would like to know how much it would cost to stain your concrete floor, just request an estimate and I'll contact you to set up an appointment.